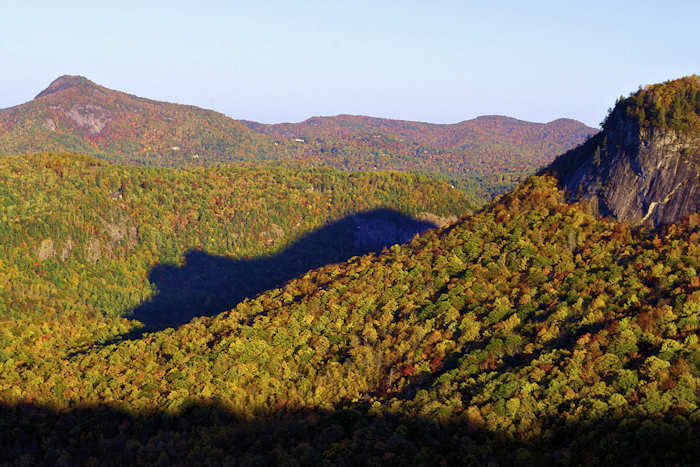 With so many remote areas in the Nantahala and Pisgah National Forests to explore, the U.S. Forest Service reminds visitors to practice simple steps to avoid black bear encounters. Bear sightings, while infrequent, are more common in spring. Usually they are seen in more remote areas, but it's not uncommon to see them in the city of Asheville. Attacks by black bears are extremely rare. We've hiked hundreds of miles in the North Carolina mountains and have only seen bears a few times - always running from us! Typically a bear is more afraid of humans. If you ever see bear cubs, get out of the area immediately. Mama bears are very protective. The average weight of a black bear is 300 pounds. 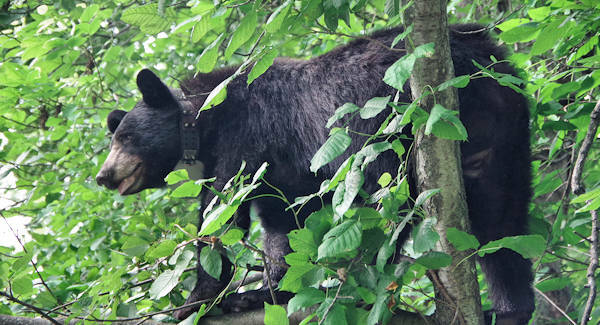 Despite their size, black bears are very agile tree climbers. During times of danger or threat, bear cubs will take shelter in trees. Bears are opportunists by nature. In the wild, they will feed on whatever is readily available. Food odors and improperly stored garbage often attract bears to campgrounds and picnic sites. Although they are naturally afraid of humans, the animals lose this fear as they begin to associate human scents with the reward of food. Protect yourself and protect the black bears by storing trash and food in safe locations. 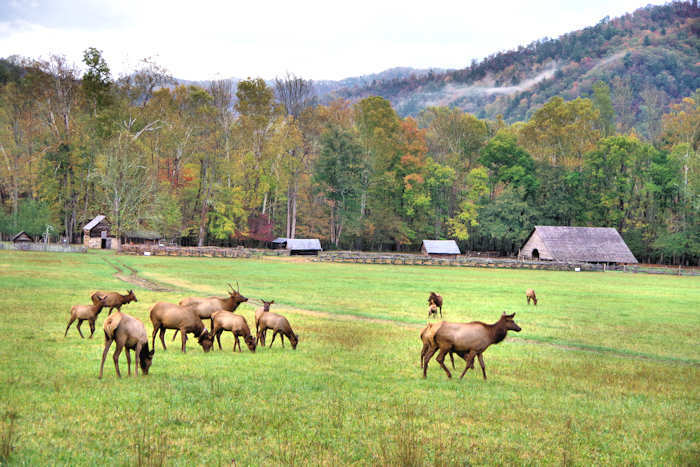 For instance, each backcountry campsite and shelter in the Great Smoky Mountains National Park has a cable and pulley system which allows backpackers to easily hoist their food and packs out of the reach of black bears, providing a safer environment for hikers and animals alike. If camping in national forest or parks, check with the ranger's office for any bear advisories. All food and food-related items should be stored at campsites in a hard-sided bear-resistant canister, or in the trunk of a vehicle, except when preparing and consuming food. 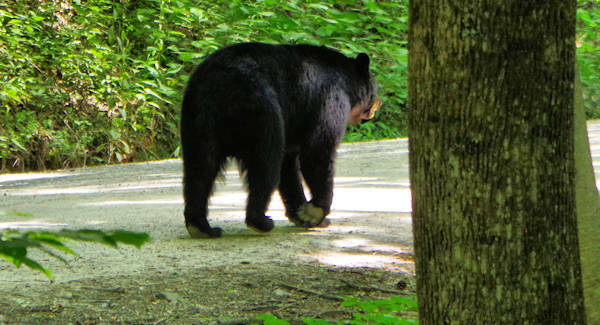 Bear canisters are required in some areas in Pisgah National Forest. Do not leave food or garbage inside fire rings, grills at campsite or cabin. Wipe tabletops clean. Never store food & scented items in your tent, including toothpaste, deodorant, beverages, or snacks. Keep scented items in bear-proof canisters, inside trailers, and in the trunk of a vehicle. Items that are not considered bear proof include ice chests, coolers, boxes, cans, tents, soft-sided campers and passenger areas of vehicles. Never approach a bear or other wild animal. Mama bears are very protective of her cubs. See black bears and learn more about them at the WNC Nature Center. A big papa bear we saw while driving in Pisgah National Forest in the Linville Gorge Wilderness Area. 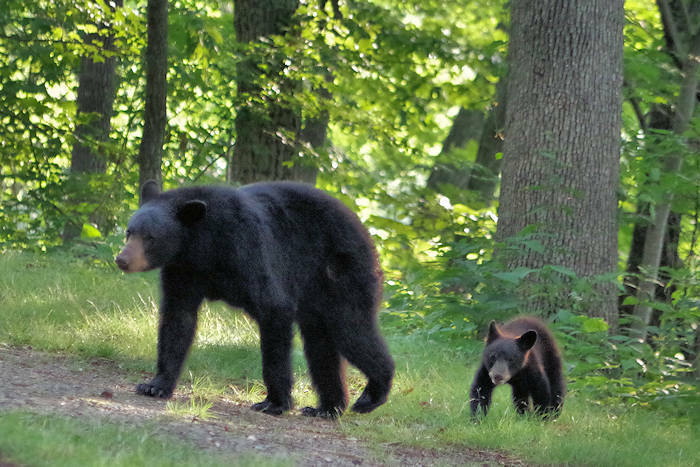 Asheville Bear Study: The North Carolina Urban/Suburban Black Bear Study is a joint project of NC State University and the NC Wildlife Resources Commission. Based in the city of Asheville, they examine black bear movements via GPS collars to study activity patterns and food behavior. We spotted the above collared bear eating berries high in a tree on Town Mountain. Many "city" bears are accustom to people and cars, so they often do not run away. 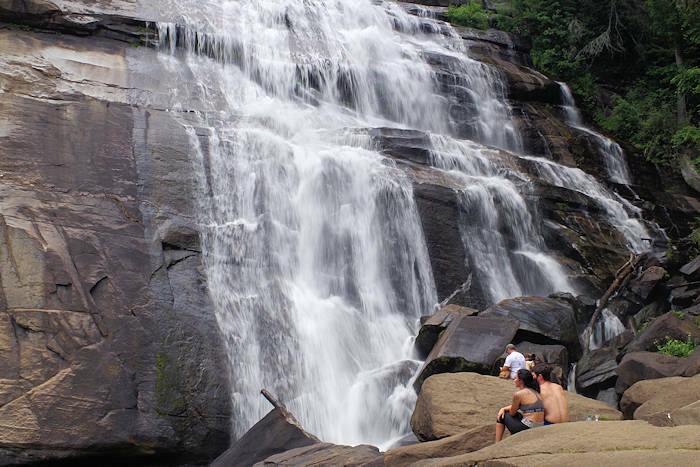 For more info, see our Waterfalls and Hiking Safety Tips.